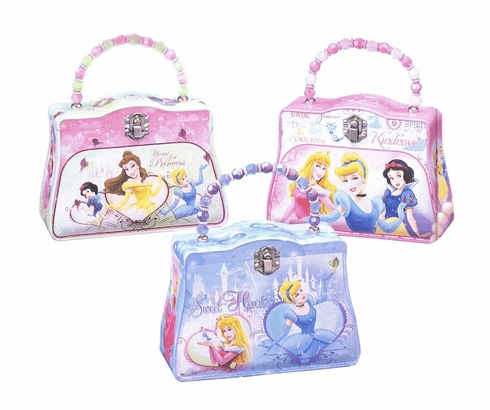 Every princess needs a purse for all of her pretty things. Look fabulous carrying one of these 3 stylish designs. Dimensions are 7.25" x 3" x 5.38" and each tin is made from recycled steel. Please specify in comments section of checkout if particular style is desired. Styles subject to availability. Price is per tin purse.